BONG BONG BONG. The dashboard had lit up like a Christmas tree. Power was gone. The whole car started shuddering. We were in a 2017 Alfa Romeo Giulia with just barely 1,709 miles on the odometer, and it was already breaking down. Have you ever wanted the authentic Alfa Romeo experience? Because we were getting it now. It’s not like we were doing anything crazy with it, either. If we had just driven it straight into a yawning sinkhole or something, I would totally get it. But we had just left last night’s Are You Faster Than A Jalopnik Writer Event—it went great, by the way, and yes, you are all definitely faster than us—and had pulled onto the highway. Heading down I-87, the cruise control was set at 64 miles per hour, and there were no other cars on the road in front of us. Everything should have been completely smooth sailing. That’s when the breakdown started. The lights came on, the BONGS started BONGING, and the throttle was barely working. I’d give it a light brush, and the car would go into conniption fits, its gearbox bogging and its motor unable to provide acceleration. We were crawling along at 40 mph in the slow lane, the car refusing to go any faster as a truck roared past us doing 70. It was hard to tell whether the car was in limp mode, or had just begun to refuse the very concept of life itself. The plan was to pray to our various gods, deities, and empty nothingness, and pull off at the next offramp while the car was still moving. An awkward moment ensued when there was actually a toll booth before the exit, and we didn’t know if the thing would move after coming to a halt. But it did, crankily, and we pulled into a parking lot. We thought about calling the company that manages Alfa’s fleet, but we realized it was about 11 p.m. already, the car was full of five people, we were far from the nearest train station, and if we didn’t try to get it moving then, it might be a while before we ever made it home. So we tried what everyone with computers does, and turned it off and on again. That seemed to cure whatever the hell was going on with the car’s jerky tantrum, for the moment. We thankfully made it back to home base, dashboard lights still ablaze, but with the car (maybe?) in one piece. I’d love to come out here right now and say “man, sometimes these press cars are thrashed, and they can get weird!” I’d love to say that absolutely nothing could go wrong with developing an entire car in only two-and-a-half years. I’d love to say this was an isolated, one-off incident, but it isn’t. 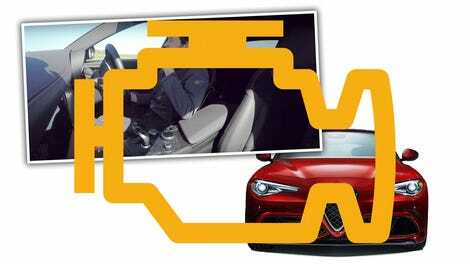 The fact is, Alfa Romeo’s comeback car has been plagued with problems, and these are increasingly well-documented by the journalists who have been testing them. We e-mailed Alfa, and notified them of what happened with our Giulia. They are taking it back to Michigan for diagnosis tomorrow. But in the meantime, as our car shuffled along like a zombie, I remembered what it was like to always desperately want an Alfa Romeo. I had visions in my head of Europeans slinging cars with chromed intake runners in the engine saying silly Italian words. I remembered what it was like watching Top Gear sling three old Alfas through a series of challenges as they slowly fell apart like decomposing zombies losing limbs. The Giulia genuinely is a solid driver’s car, when it works. If there was any doubt that by returning to our shores Alfa had lost its way, or had forgotten its roots, those fears can all be tossed aside. The Alfa Giulia really is as good as a car like this can be. Briefly. 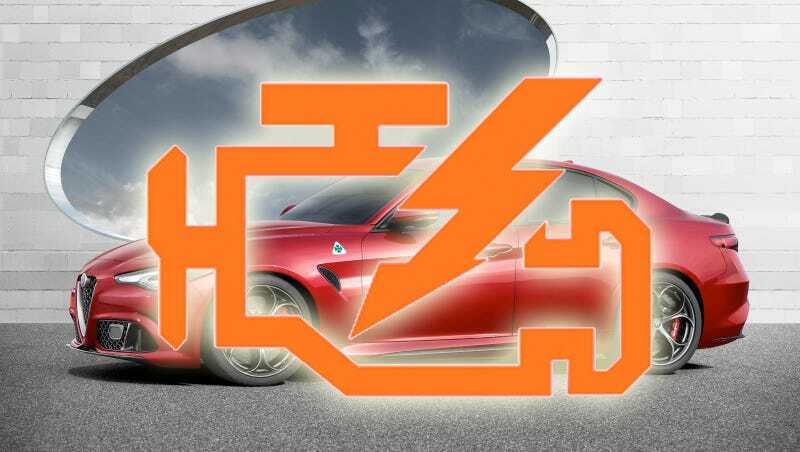 But if Alfa thinks that’s enough to steal sales from Lexus or BMW, it is very mistaken.